In the fall of 1986, a red, floppy-eared gremlin emerged threatening pizza deliveries everywhere. 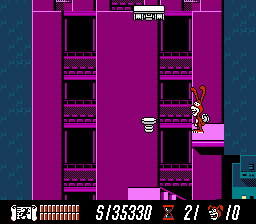 His name was the Noid. A claymation creation of Group 243, Domino’s Ann Arbor, Michigan-based advertising agency, and Will Vinton Productions, the brains behind the dancing California Raisins commercials, the Noid was the personification of all the problems that arise from getting pizza delivered to your door. The Noid’s sole purpose in life was to ruin delivered pizzas by making them ice cold or squashing them with his Pizza Crusher. Consumers were urged to “Avoid the Noid” by ordering from Domino’s, which at the time guaranteed fast delivery in 30 minutes or less. Domino’s poured $5 million into the initial ad campaign, its biggest ever, running television spots during all of the hit prime-time shows at the time: Monday Night Football, MacGyver, and ALF. The quirky mascot quickly became a hit, especially among kids. 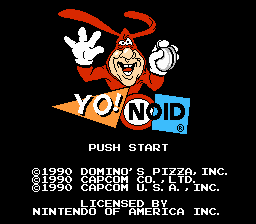 Reaching out to those younger fans, Domino’s released Avoid the Noid in 1989, a computer game in which you control a Domino’s delivery man on a mission to protect his pizzas from the invading Noids. 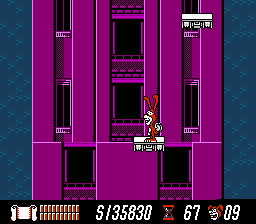 Later that year, in November, Advertising Age announced that Capcom had signed an agreement with Domino’s to license the Noid character for an upcoming Nintendo video game. Domino’s had also begun looking into new revenue streams, like video catalogs. Emmy, Emmy, a Los Angeles marketing company, made a deal with Domino’s to have its catalog come with every pizza delivery. These catalogs listed over 50 special interest VHS tapes, from Kathy Smith workouts to self-help videos, and various Nintendo games. Proofs-of-purchase from Domino’s pizza boxes could be redeemed for special discounts when ordering from the 800 number. 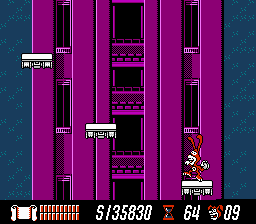 The next year, in February 1990, the Noid underwent an attitude makeover for Group 243’s “Yo! Domino’s” marketing campaign. 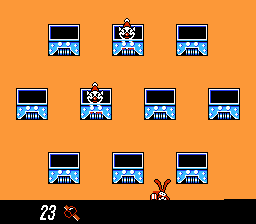 No longer obsessed with being a pest and wreaking mayhem, the now playful Noid raced children to piping hot Domino’s food. Domino’s reported that an astounding 10 million merchandising Noid products had been sold by that point, everything from bendable toys to Halloween masks. Other food and drink companies were looking to cash in on similar marketing crazes at the time, as well. 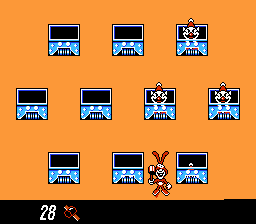 Cool Spot, the sunglasses-wearing, red spot from the 7 Up logo, would beat out the competition by becoming the first corporate mascot to appear in his own Nintendo game that summer. 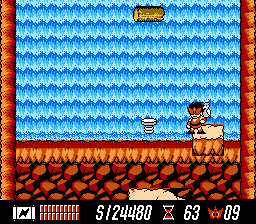 Meanwhile, Capcom had been developing Sun-Maid’s California Raisins and Domino’s Yo! 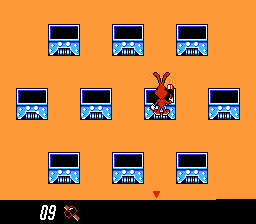 Noid video games simultaneously. Unlike California Raisins, Yo! 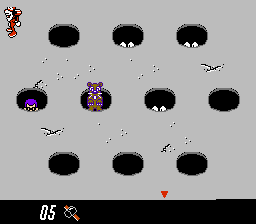 Noid was not an entirely original game, but rather a graphically-modified version of a Family Computer title called Masked Ninja Hanamaru. 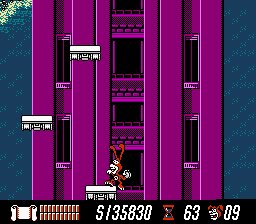 The ninja morphed into the Noid; card battles became pizza-eating contests; and the overall presentation took on a lighter, brighter, cheesier tone. In the fall, half a million copies of Yo! 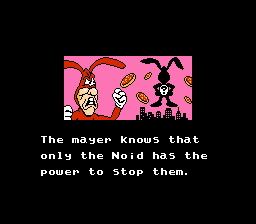 Noid shipped to stores, retailing for $40. Norm Nickin, Domino’s director of marketing and corporate advertising, told Advertising Age that Domino’s would receive an undisclosed percentage of the game’s wholesale sales as a royalty fee. Nickin claimed that Capcom took two years to develop the game, including seven months when eight programmers in Osaka worked. He seemed adamant about the quality of the software, denying any overt advertising for Domino’s. “The Domino’s name may appear on the packaging, but it won’t appear on the screen during the game,” Nickin said. The Domino’s name appears on the very first screen of the game. That didn’t prevent Domino’s from adding its recognizable company colors to the pizza boxes that mount up during the pizza-eating contests. And then there’s the coupon for $1 off a Domino’s order on the last page of the game’s instruction manual. Despite Yo! Noid‘s release, the Noid’s act, like day-old breadsticks, started to become stale in the frenzied, ever-changing ad world. Less than a year later, Domino’s dropped Group 243 completely (link). Under heavy media scrutiny, Domino’s was forced to remove its 30-minutes-or-less policy after a band of rogue “noids,” headed by Joseph Kinney of the National Safe Workplace Institute, protested against the company for the car accidents that delivery drivers caused while frantically trying to beat the clock. According to Kinney, 20 speeding Domino’s drivers were killed in 1988 alone. 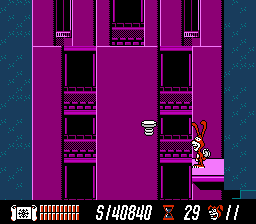 The Noid soon faded into pop culture obscurity. The most intriguing aspect of this Yo! 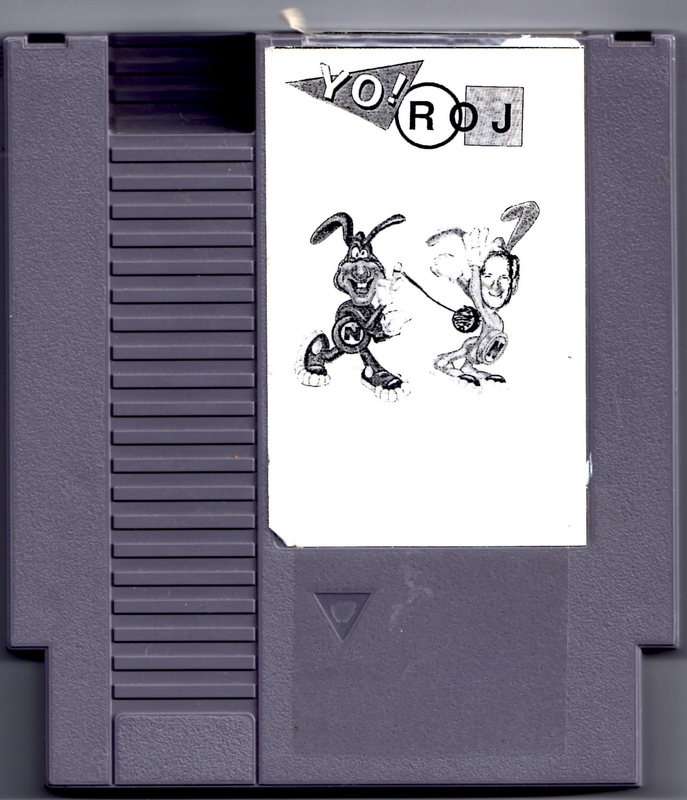 Noid prototype isn’t even in the game—it’s right on the front of the cartridge. While most prototypes use generic-looking labels, or none at all, the one on this Yo! Noid is custom-made and personalized. A different name, “Yo! 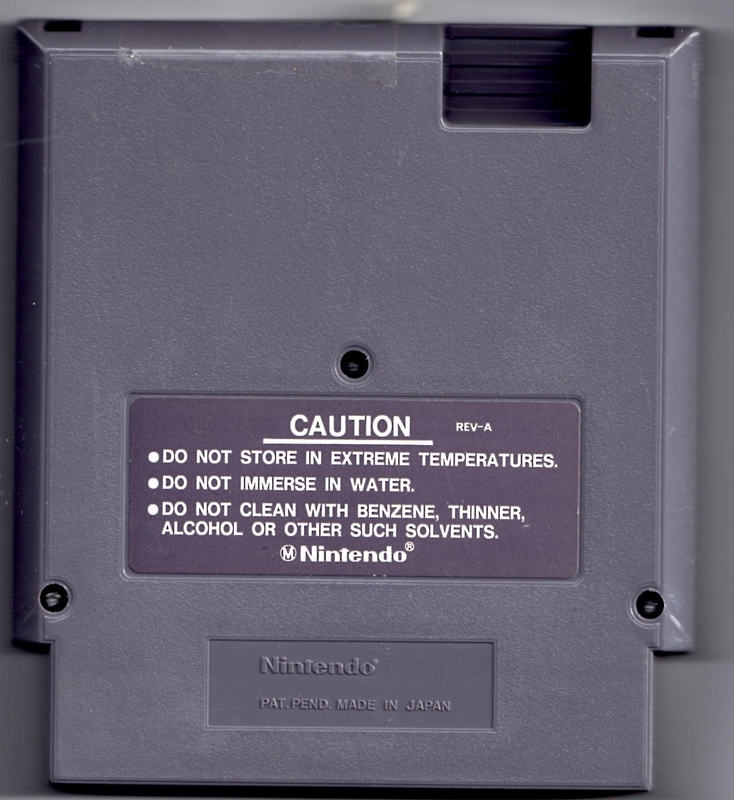 Roger,” appears at the top of the cartridge. Was “Roj” a typo for “Rog,” an abbreviation for Roger? 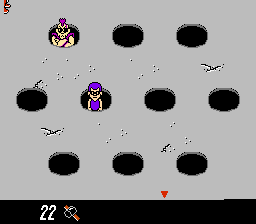 After pouring over old Domino’s and Capcom press releases and newspaper articles, searching for Roger’s identity, I didn’t end up finding our man; I ended up only getting hungry. There is one possibility that our Roger might be Roger Gallerini. According to AdWeek, he joined Group 243 in October 1990 and served on the $125 million Domino’s account as a senior vice president/management director. Nintendo’s official North American game list states that Yo! 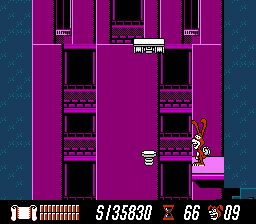 Noid was released just one month later in November (link). Then (1990) and Now (2012)? Then again, the faces really don’t match up. Another possibility is that Roger could have been a play tester. (That would explain why he’s getting whipped in the picture.) Having your name and likeness all over the cartridge might have been a clever attempt by Capcom to prevent any leaks of the game. Then again, who would want to leak a Domino’s video game? You can draw your own conclusions. 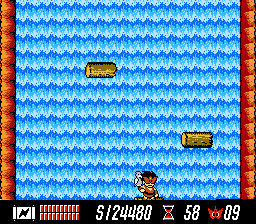 As for me, I need to move this along so I can order some Cheesy Bread before delivery shuts down. The Yo! 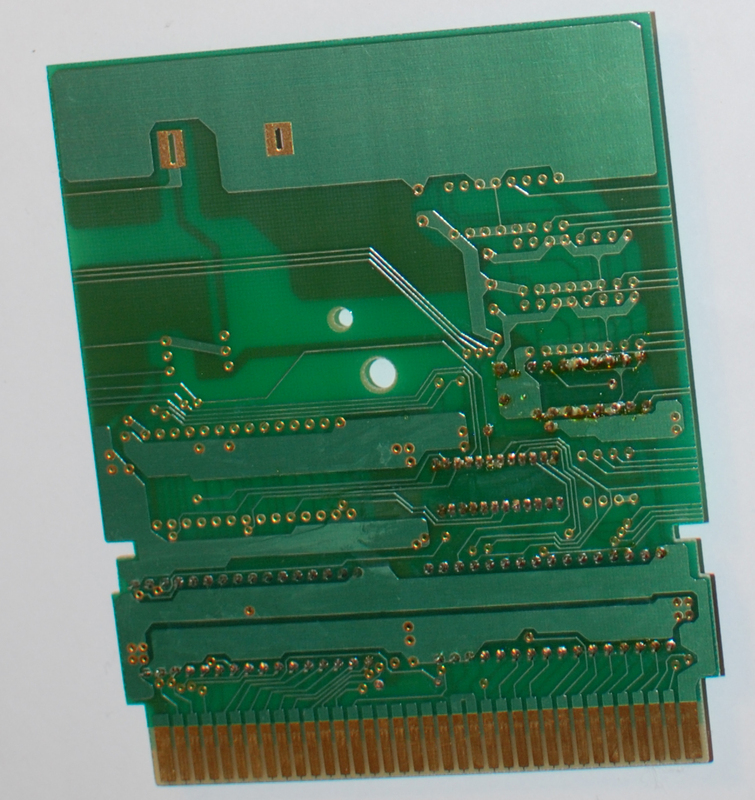 Noid cartridge contains an NES-SKEPROM-01 prototype board inside. The EPROM chips have Capcom company stickers, both of which are marked “Noid.” Someone has drawn squiggly lines on the PRG EPROM. Fascinating! 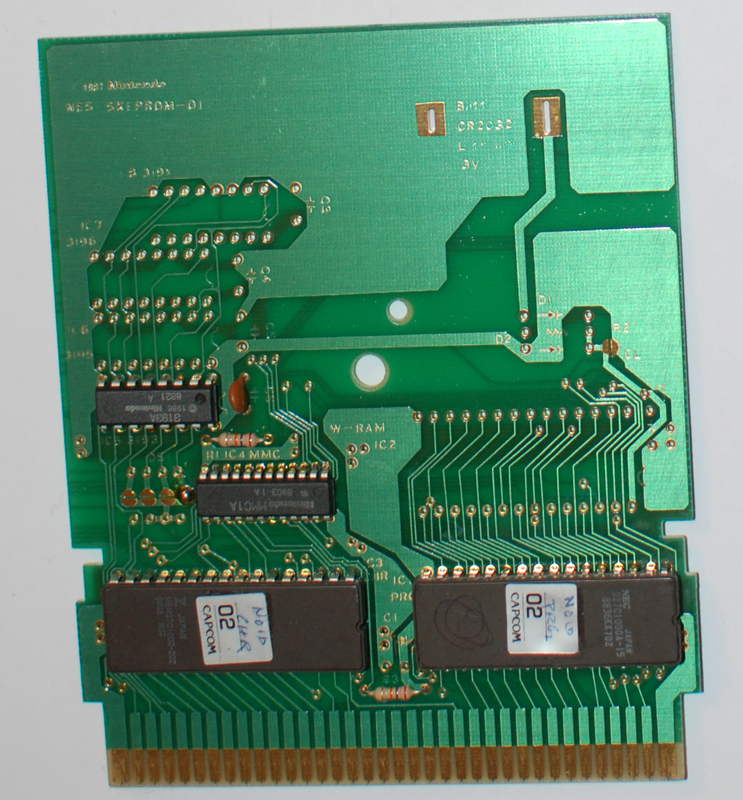 This prototype was sold on eBay in or around 2000 by a seller named “Kage*,” who also listed a number of other Capcom Nintendo Entertainment System prototypes at that time, including DuckTales, Darkwing Duck, Mega Man 3, Mega Man 4, The Little Mermaid, and Street Fighter 2010: The Final Fight. Just for the record, I completed Yo! 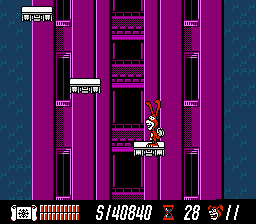 Noid four times in a row to bring you these results. I think I’ve more than earned my Game Preservation merit badge by now. The prototype calls the red bottle item card “hot sauce,” which makes perfect sense. When you use the bottle during the prototype’s pizza-eating contests, the area champion will clench his throat, stick out his tongue, and scream, “Aack, hot sauce! I can’t eat that.” The released refers to this bottle as red pepper instead. To further confuse things, “pepper” is actually the name of another item card that can be used to cancel out the area champion’s eaten pizzas during the pizza-eating contests. “Too much pepper,” indeed. Although it’s not an all-too-common a topping in America, a bottle of Tabasco sauce can be added to any order for an additional 270 yen in Japanese Domino’s stores. 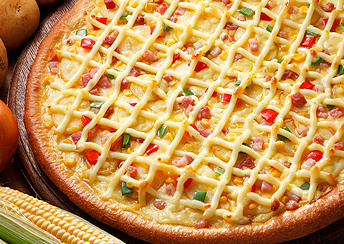 Other popular pizza toppings in Japan include potato, corn, and mayonnaise. 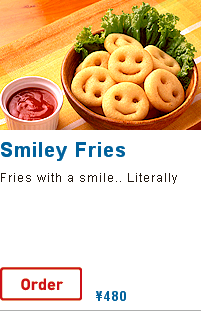 The Domino’s stores in Japan also sell smiley fries, french fries in the shape of creepy smiling faces. Why must everything in Japan be so kawaii? Using bonus item cards like the hot sauce or pepper shaker can play into the whole strategy of winning pizza-eating contests. That is, even if you do not entirely fill your quota of pizzas, you can still win when the area champion runs out of his pizza cards. 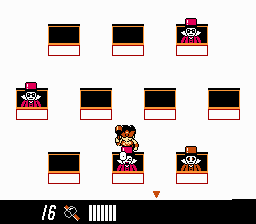 Another way to win the pizza-eating contests in the prototype is to stay standing until the end; you don’t need to have a single pizza tallied in your favor. 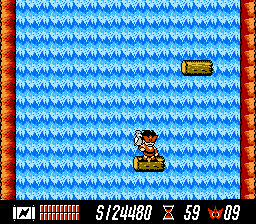 If you try pulling that stunt in the released game, though, the area champion will call you a wimp and then boast about how you will never beat him. In other words, you will lose. 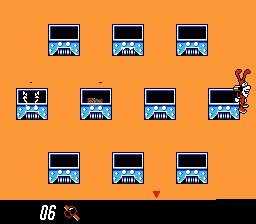 In the prototype, you cannot move off-screen and wind up on the other side during the circus and haunted house secret mini-games. 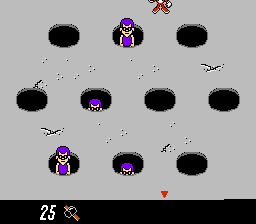 Furthermore, you cannot move through the mini-game circus boxes in the prototype. 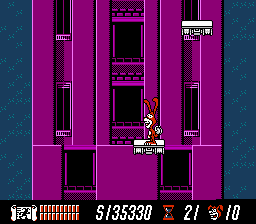 Yet again, for some reason, the released game seems buggier than the prototype. 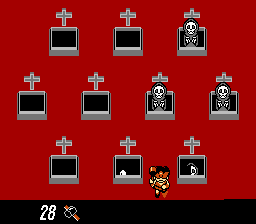 The original Japanese version is closer to the prototype in that you cannot move off-screen or over the boxes and graves. 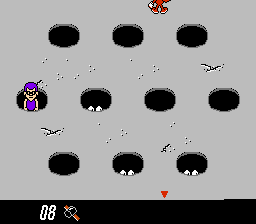 In Stage 13, the platform and the spring here are placed farther down in the prototype. 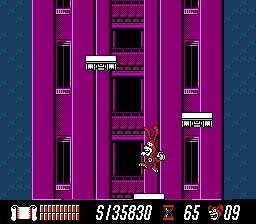 Due to the fact that they are placed lower in the prototype, after landing on the first platform, another platform not seen in the released game will fall down on the right-hand side. 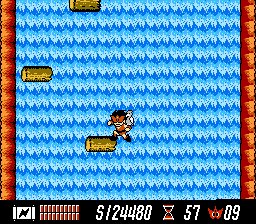 Jumping on this extra platform is necessary for reaching the others and completing the stage. 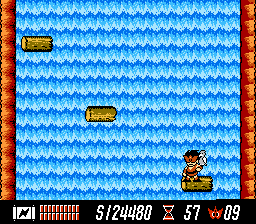 The platforming sections in the prototype and the original Japanese game appear to be identical.